Custer County has a new program for youth in grades 6 through 12. 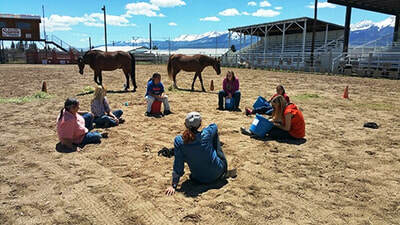 The program leaders use activities with horses to improve communication and life skills. It is called County Strong Teens and is sponsored by the Wet Mountain Valley Saddle Club and the Koons Foundation. 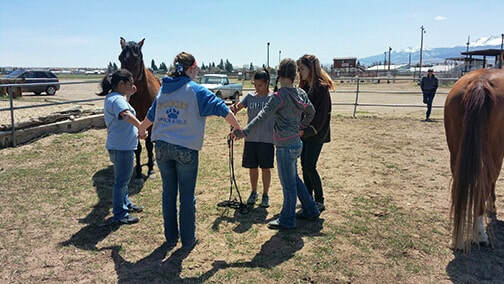 The Country Strong Teens Program works with students in the Equine Assisted Learning and Activities Method. The equine activities are designed to empower students to learn and develop coping skills; creating emotionally and socially healthy young adults. 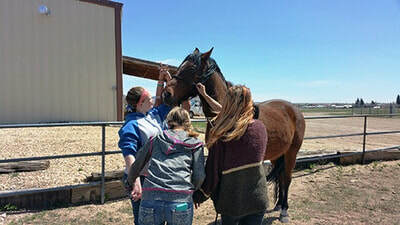 The equine activities model has proven to be an effective method for helping teens overcome defiance, anger, low-self esteem and mood disorders. It is a focused and intentional approach, producing marked positive results. 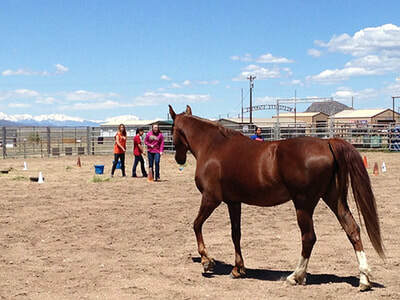 We have carefully designed group and individual activities with horses to target issues youth may be facing every day. The exercises are designed to bring about positive changes. Each activity ends with a processing circle where the students gather with the facilitation team to share something about the experience of the activity. The student is asked to describe from the "I" point of view what they may have observed or felt while participating in the activity. Activities with the horses take place on the ground; the program is not about riding or training. The horses used int he program are professionally trained for this method; they are respectful and well-mannered. Safety is one of our main concerns in all EEAL activities. Sessions: Participants meet each Friday for a six consecutive weeks, with a one or two week break between sessions. This is a year round program and students are welcome to join the program at anytime. 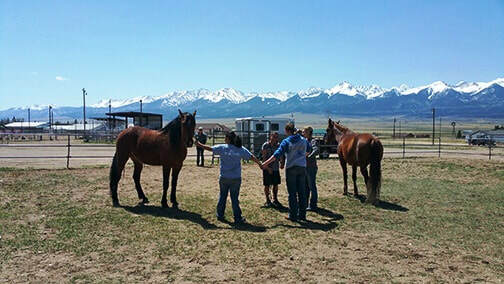 Location: Wet Mountain Valley Saddle Club, Westcliffe, outdoor arenas. 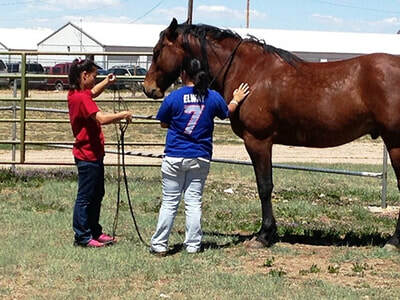 In cases of inclement weather, the program is held at the Painted View Ranch indoor arena on Hermit Road, Westcliffe. Transportation: Wet Mountain Valley Rotary Club provides a van driven by trained and certified drivers to transport students. The parent or guardian of students must verify their pick up and return locations. Forms for transportation are provided to the parent or guardian to complete and return. Fee: There is NO fee to participate in the Country Strong Teens Program. CST is funded through grants, foundations, and fund raising. This is a referral based program: participants are referred by a school counselor, social worker, therapist, parent, and/or community health services. This is a volunteer program for participants and they can continue at will. We understand that a student may miss a session. They are welcome to return as soon as they are willing and able.